A flexible service for independent walkers wanting to use Byways Breaks walking holidays experience and knowledge of the UK and the trail walk, without having to book a fully ‘packaged’ walking holiday. 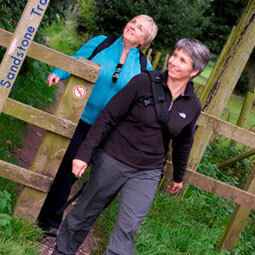 Byways Breaks plan the stages of your walking holiday with you and for you. Tell Byways Breaks walking holidays how far you want to walk, whether you want a rest day, whether you want to walk the whole trail or part of it and any other particular requirements you may have for your walking holiday – including walking with dogs. The walker friendly accommodation we choose is all different, all comfortable and offer a warm welcome for walkers. 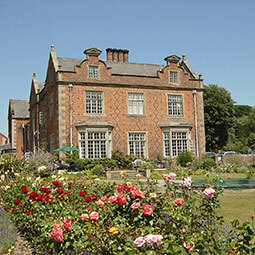 Byways Breaks know the walking areas we offer well, and visit all the accommodation we use. Over the years we have carefully selected a range of good quality walker accommodation, including; farmhouses, guest houses, pubs and hotels. Almost all rooms chosen have en-suite or private bathrooms (although very occasionally in more remote areas this isn’t possible). 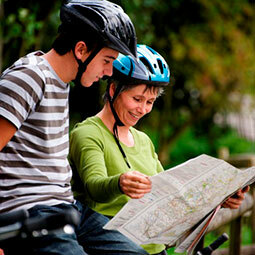 Byways Breaks walking holidays give you detailed directions from the trail to the places you are staying. Walking maps and walking guide books trail guide books are not included in the package but are sold separately – click here to buy walking maps and books. For walkers preferring to organise their own walking holidays and making their own accommodation arrangements, Byways Breaks can arrange luggage transfer along Offas Dyke, Glyndwr’s Way, Ribble Way, Anglesey Coast Path, Sandstone Trail and Shropshire Way. 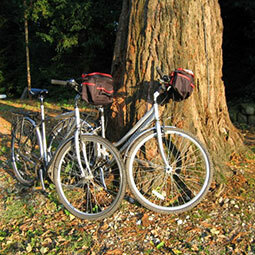 Allowing you the chance to enjoy you walking holiday without the hassle of carrying or moving your luggage.